A famous tourist destination, Niagara Falls is known worldwide for its dramatic natural landscape. Beyond the waterfalls is a community in economic despair. Niagara has struggled with job loss, a decaying downtown and competition with its Canadian neighbor. I3, partnering with schools, companies and the community, is focused on preparing students for career pathways. The goal is to create opportunity and inspire hope for the entire community. 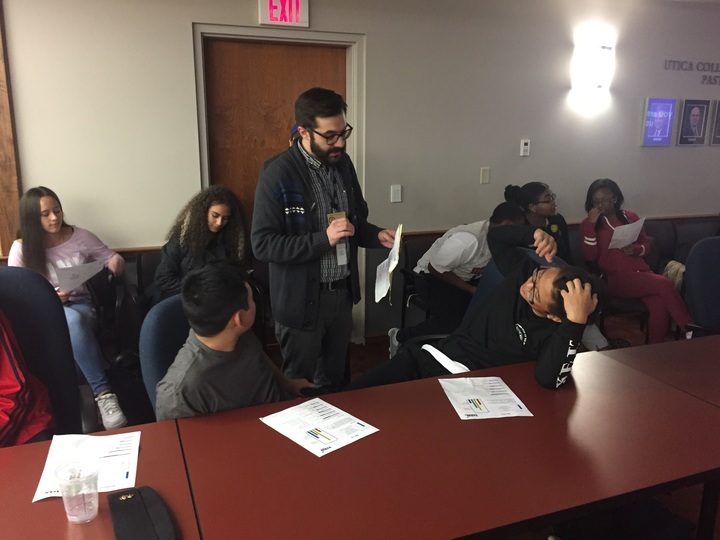 Whether students are on the court or in the classroom, the Niagara Falls Region is focused on promoting community engagement, teaching self-awareness and learning to work with different communication styles. With Indigo as the driving force, Niagara Falls students are challenging the status quo to take control of their future like never before. Since spring 2017, I3 has trained over 10,000 students, 400 teachers, 50 administrators and added 250 adults to the workforce. Including Niagara Region K-12 School Districts, Local Colleges and Universities, and the College Simulation Experience. Empire State Poverty Reduction Initiative is helping the Niagara Falls address needs and allocate funds towards poverty reduction.